A little watercolour interior. This is a lamp we bought after Nelly accidentally smashed its predecessor (which was something a lot more tasteful). It’s a pretty big table lamp, around 3′ high I would guess, and makes me think of luminous floating sea creatures. 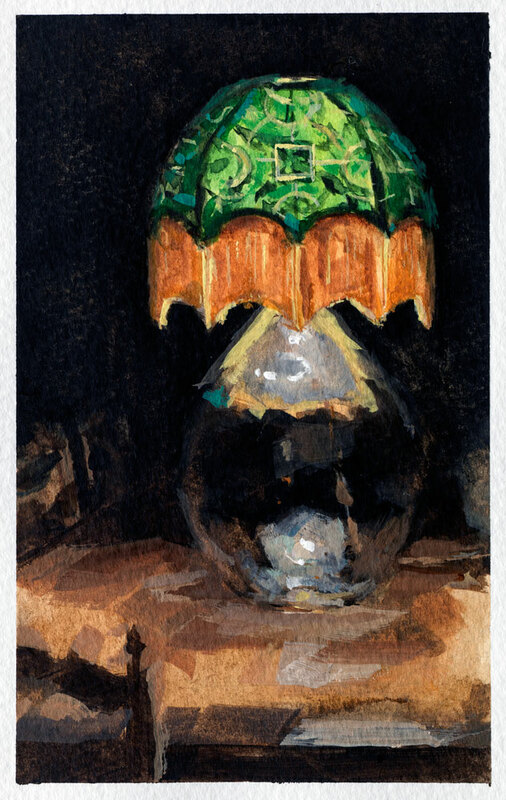 I enjoyed trying to capture that sense of the light glowing through the shade and reflecting on the glass base.